If you are in need of labels then these are for you! 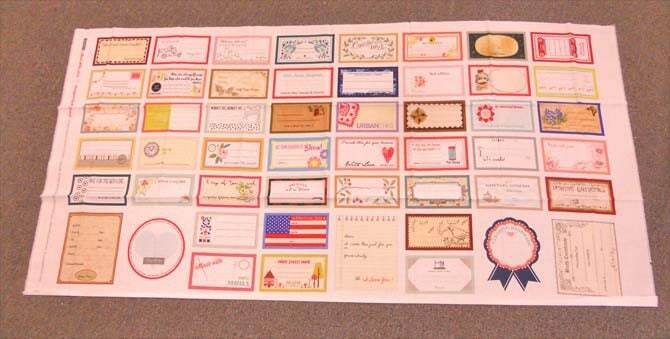 Each exclusive Moda "panel features 51 One-Of-A-Kind Quilt Labels from your Favorite Moda Designers". Panel measures 30 x 60 inches. Designer labels measure approximately 3 x 6 inches. 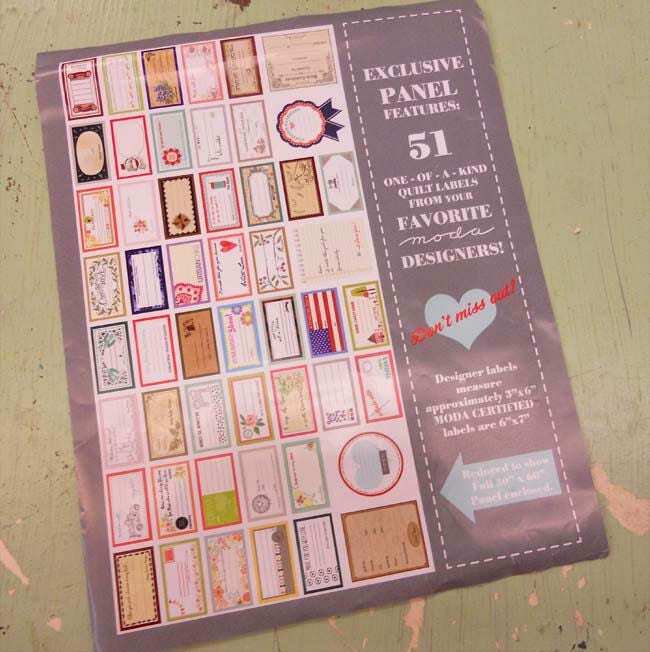 Moda Certified labels measure approximately 6 x 7 inches. Designer include: Primitive Gatherings, Lella Boutique, Bonnie and Camille, Pat Sloan, French General, Fig Tree Quilts, Janet Clair, and BasicGrey to name a few!